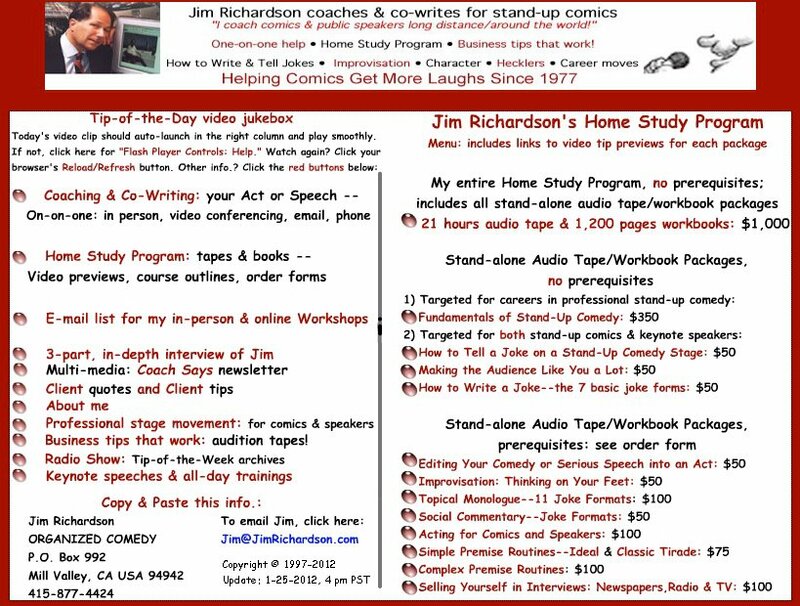 Jim Richardson: comedy coach, humorous speaker, seminar leader; writes jokes and speeches for: stand-up comics, business speakers, politicians, ventriloquists and other solo acts. General information and registration form. 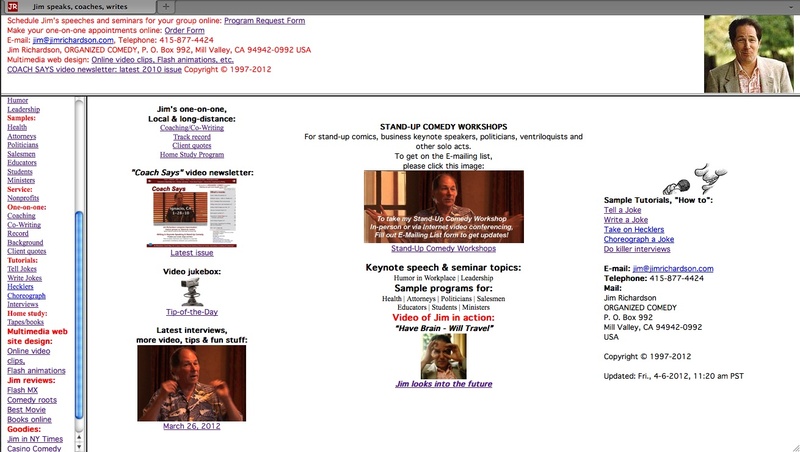 One-on-one Comedy Coaching and Co-writing. 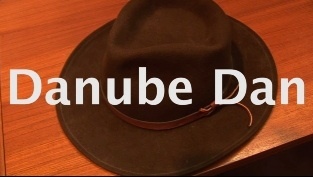 Requires Flash which comes pre-installed on Mac and Windows computers but not on iOS devices. 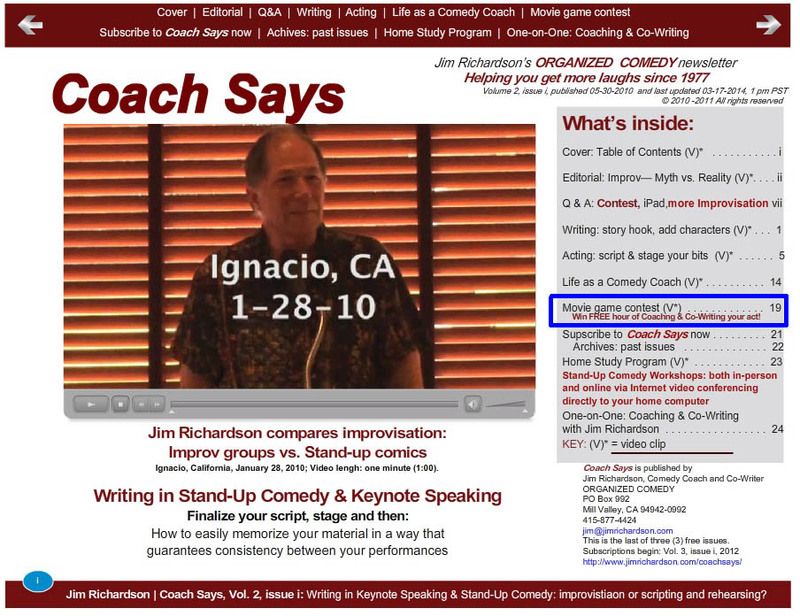 "Coach Says" with video: the truth behind the myths! Page last updated: Monday, January 15, 2017, 2:05 pm. Then, Thursday, February 22, 2018, 11:31 am PST.